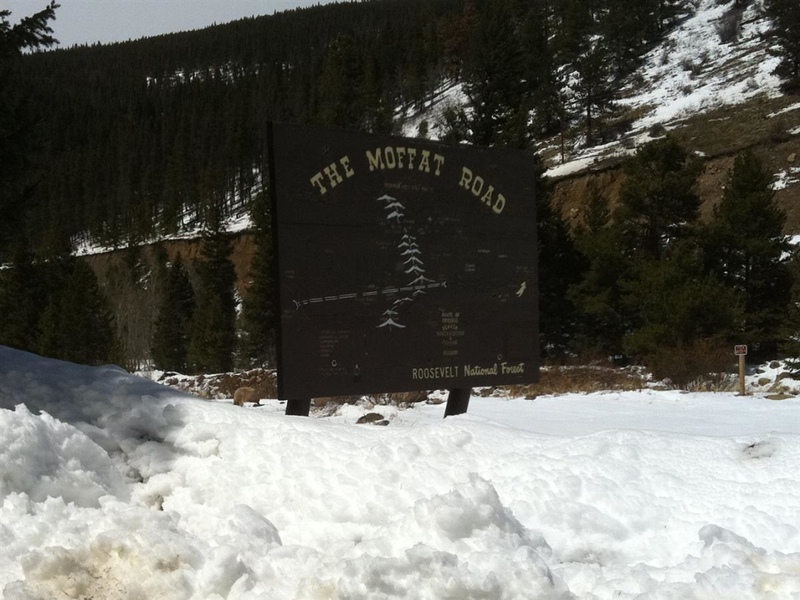 Moffat Road attracts snowshoers, skiers and snowmobilers but given the popularity of nearby trails out of the East Portal trailhead, it’s never crowded. When it is snow-free, this 9 mile dirt road is a fun mountain bike tour, thanks to it’s gradual, railroad grade climb and incredible views at its terminus at the Needle Eye Tunnel. When it gets snowed over, it’s a great testpiece for fat bikers who want to challenge themselves -- and the elements -- to reach the upper lakes and the terrain above treeline. Of course, an out-and-back tour of any length is still fun. Moffat Road is long enough that it will provide a hearty workout in a safe setting. The gradual grade and forested confines make it less exposed to the elements and the steady traffic of assorted backcountry visitors tend to pack the road down nicely for fat biking. It’s a backcountry adventure that can present variable conditions but tends to be a fine circuit for fat bikers looking to push their cardio -- the trail reaches over 11,000 feet at the top! The snow depth can vary greatly, even in the middle of winter. Winds blow hard above treeline, making for alternating sections of big drifts and exposed dirt. The good news is that the trail doesn’t break timberline until 7 miles in. Below that is mostly forested road protected from the wind and consistent snow depth. Unless there are big storms, the trails stay fairly well packed down and rideable throughout the winter. Rides in early winter or early spring tend to be a bit more accommodating, though even mid January outings can sometimes allow for fat bike passage without having to dismount. There are nice views of the valley at the first mile and mountain views as you climb higher. Views from the top of the road are spectacular in the winter but tough to earn! Fat bikers who are ready for the challenge of variable conditions and a long ride will love the challenge of Moffat Road. Riding to the Needle Eye Tunnel is an epic adventure -- in good conditions, 3 hours is a good time for the ascent. It’s also a great destination for a spin of any length since it’s a nice out and back. There’s very little avalanche danger on the road until you approach Yankee Doodle Lake -- and even then, it’s fairly modest. On the Peak to Peak Highway (CO 119), drive to the small village of Rollinsville about four miles south of Nederland. Head west from the center of town on the well-marked Rollins Pass Road. The road is dirt, but is wide and in good condition. The road is plowed all the way to the tunnel and even low-clearance passenger cars should have no difficulty in any season. Follow the road 8 miles crossing the active train tracks twice via at-grade crossings and twice via underpasses. After the fourth crossing around mile 7.5, bear right to head up the 9-mile Moffat Road or bear left at the junction for Rollins Pass and continue another half mile to the large trailhead.